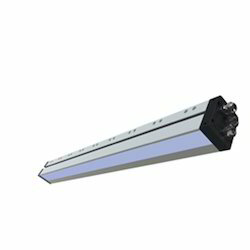 We are among the eminent manufacturers, suppliers, traders, importers and exporters of LED Curing Lamps-The XP3 and XP5 Series. The offered range is manufactured keeping in mind the variegated requirements of our respectable customers. Our logistics personnel make sure that the consignments are timely delivered at customers’ destinations. LED UV systems bring energy-efficient, heat-less, solid-state curing to sheetfed offset lithographic printers everywhere. Gone are powder-filled pressrooms, expensive IR/hot-air dryers, marking problems and waiting for sheets to dry. No other system provides the high intensity, flexibility and fast return on investment. Looking for Sheetfed Offset ?